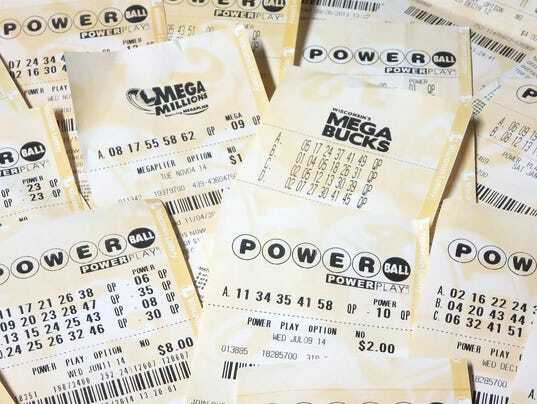 A lottery ticket is a prized possession, an investment in dreams that will hopefully change your life forever. It is astounding how much you can treasure one small piece of paper. And rightly so, because this one small scrap of seemingly insignificant paper (and the numbers that it represents) can become worth an untold fortune. So we hold onto it like gold until the time of the lottery draw. But what happens to our used lottery tickets once the lottery draw has come and gone? We all know what to do if we have matched all the numbers and our ticket is a winner. There are clear guidelines for that – sign your ticket, keep it in a safe place, and when you’re ready to claim your prize, go to your local official lottery office with the ticket. 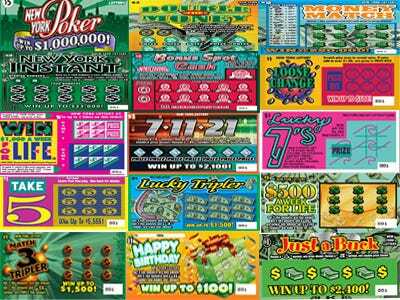 Or if you are the lucky winner of a smaller prize, you simply need to take your winning ticket to any local store that is registered to sell those particular lottery tickets. But what happens when the lottery draw comes and goes and now you have a ticket that is not worth any money? Instead of simply binning it, here are some creative ways you can reuse this previously treasured possession, saving it from the shame of the trash can! Even old lottery tickets have their uses. No more losing your place or bending your book spine. Use your old lottery tickets as bookmarks! Not only do you get to preserve your place and keep your book as good as new, but, as a bonus, you will be reminded to buy your next lottery ticket every time you read your book. The plain old paper lottery tickets are recyclable, so you can simply throw them into your nearest recycling bin. If you are not sure whether or not your lottery ticket is eco-friendly, you can even just check the back of the ticket for a recycling symbol. A further test, in the not-so-clear cases, is to tear the ticket and check what is inside. If there is no plastic or foil inside, you can recycle. Scratch-card lottery tickets are generally made up of paper, plastic and foil so these are not recyclable. Some states even have recycling programs where they collect lottery tickets to be recycled, to save you the hassle. The lottery may be restricted to players 18 years of age and up, but there is nothing stopping your kids from having fun with your old lottery tickets. The scratch-card type of lottery tickets make excellent credit cards for pretend play, and there is no doubt that any imaginative child can find many other uses for old lottery tickets too. You could even hand it to your child for ‘safe-keeping’ and he or she will feel very important! Get a collection going and your budding artists will have lots of art supplies to make some really creative and unusual art projects. Art comes in many forms and renowned artists Adam Eckstrom and Lauren Was have found an inventive way to turn used lottery tickets into a form of art. One of their most famous works of art is a Hummer “Dream Car” which they constructed out of $39,000 worth of lotto tickets. This is not their only lotto ticket artwork. Under the name “Ghost of a Dream”, these two brilliant sculptors create life-size, elaborate sculptures, depicting luxury items, out of old and abandoned lotto tickets. They rescue these littered tickets from all over the world, and their sculptures symbolize the realization of these discarded lottery dreams. Now that is poetic justice. “We kept finding these lost lottery tickets littered all over the ground and we started picking them up thinking they were someone’s lost wish; that they were this hope and dream that they had and then they tossed it away. We started thinking about what those dreams actually meant and what happens if you collected enough of those to make that dream into a reality.” – Adam Eckstrom and Lauren Was. I didn’t think about using the used lottery tickets until now. I’ve read very interesting ideas in this post. Actually maybe we can recycle or reuse almost everything in our daily routine. I am glad you shared how the lottery works. We never bought tickets because we had no idea how to check winnings, or even if foreigners were allowed to win. Knowing that the sellers rely on their meagre commision to live is incentive enough to buy in the future. Good Luck ? It never went through my head that it could be made art with used tickets.